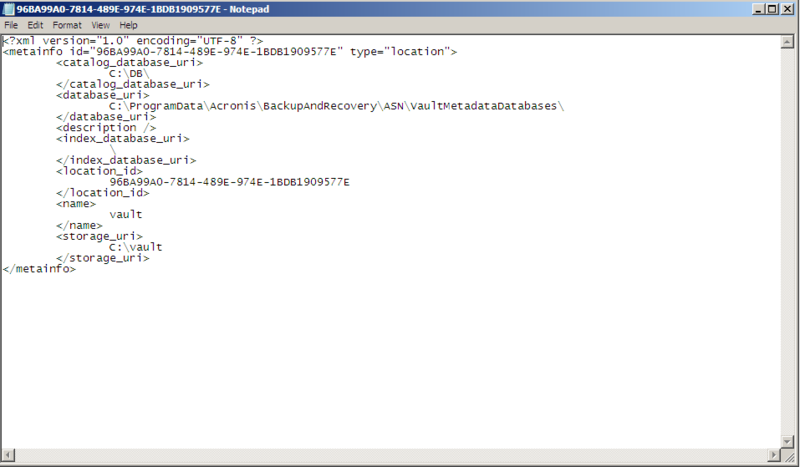 Acronis Storage Node contains catalogs for all managed vaults on this Acronis Storage Node. 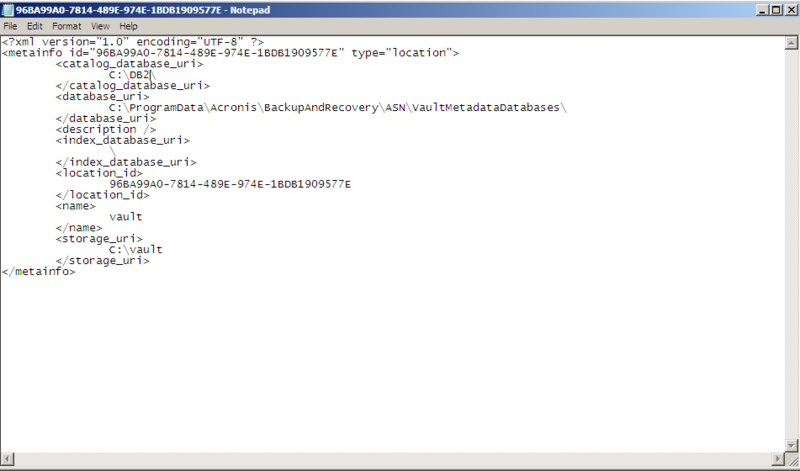 Restart Acronis Storage Node Service (Start-Run -> services.msc). The total number of new files (files that don’t exist in the previous backup) in the backup is multiplied by 256 bytes (depending on the depth of the hierarchy of the folders this number may slightly vary in both directions) for each backup independently of whether it is a full or an incremental backup. i.e. the total number of files on the disks/folders being backed up is multiplied by half a kilobyte (depending on the depth of the hierarchy of the folders this number may slightly vary in both directions) for each backup independently of whether it is full or incremental backup. 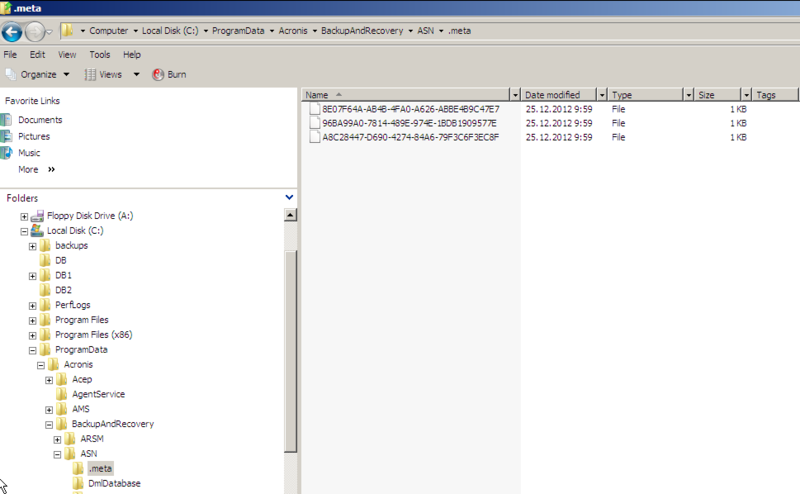 See also Acronis Backup 11.7/11.5 and Acronis Backup & Recovery 11: Databases and Logs.